Latest Government jobs in UP state as an officers in various department. UPSSSC department conducts many entrance examination to recruit fresher candidates on regular basis in UP state. 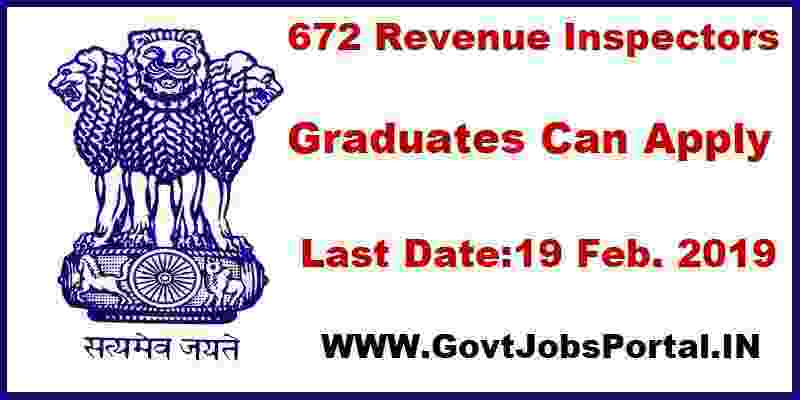 This time a fresh notification is out on the UPSSSC department official website related to the recruitment of 672 Revenue Inspector, Executive officers and other Officers job profiles. The process for applying online will be active on 30th Jan. 2019 and remain activated up to 19th Feb. 2019. So those who satisfied the eligibility criteria which we explained below in this article can apply online for this UPSSSC Recruitment 2019. Read the complete job posting below before applying online. Paying Method: You can pay the examination fee through Debit Card, Credit Card, Net Banking. Candidates can also choose offline Method for the payment of the application fee through SBI E Challan. Those who have a Graduation Degree in any stream and have typing knowledge of Hindi. Graduation degree in B.Sc in Agriculture stream can apply. Graduation Degree in Hindi subject. 10+2 as a English subject. Graduation Degree in any stream. “O” Level Certificate from DOEACC. Graduation Degree in Commerce/ Economics. 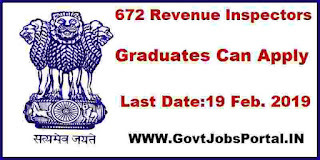 Candidates have to apply online only for this UPSSSC Recruitment 2019. Those who satisfied above eligibility criteria and interested in these officer jobs under Government of UP can apply through the official website only. The Link for applying these Government jobs in UP will be active on 30th Jan. 2019. You can apply online up to 19th Feb. 2019 for this UPPSSSC Recruitment 2019. 30th Jan. 2019 is the Starting Date to apply.